A merchant cash advance (MCA) provides a lump sum cash advance in return for a percentage of your daily credit card receipts. Effectively, an MCA provider is buying your future credit card sales from you in advance of you receiving them. We evaluated the top six MCA providers to determine which offers the best terms. National Funding is our best overall MCA company. They’re one of the only providers that don’t charge origination or administrative fees. If you’ve been in business for more than one year and have $12K+ in monthly credit card sales, you can receive up to $250K in as little as 24 hours. Prequalify online in minutes. Merchant cash advances are an expensive source of financing, so it’s important to understand the costs and repayment terms, how much funding you can get, and how quickly you can receive the funds. Be mindful of the qualifications for each lender, and take into consideration what other users think of the company when choosing a provider. Cash Advance Amount: The amount of money that the merchant cash advance lender is willing to advance. Costs: There are three primary costs associated with a merchant cash advance that you need to be aware of: the factor rate, the APR, and any additional fees charged by the lender. The APR takes into account not only the interest paid, but also the total fees associated with the borrowed funds. Repayment Terms: Repayment terms include the repayment period, which is the length of time you are allowed to pay back the advance (including the factor rate), and the average holdback percentage, which is the amount of your daily credit card receipts that the merchant cash advance lender collects to repay the advance that they gave you. Qualifications: Typical qualification factors for a merchant cash advance include the length of time that your business has been in operation and the amount of your monthly credit card receipts or gross monthly revenues. Some merchant cash advance lenders also have minimum credit score requirements. Time to Funding: The amount of time it takes for you to receive funding after applying. Customer Reviews: We also evaluated what other users thought of the company, and how those reviews stacked up against other providers. Based on the above criteria, National Funding is our best overall pick of the top merchant cash advance companies. Of all of the merchant cash advance providers on our list, National Funding is the only one that does not charge additional fees. National Funding also has the lowest monthly credit card sales requirement, and offers the fastest funding of any of the providers we reviewed! Given the relatively high cost of a merchant cash advance, you should consider other financing sources before deciding on a merchant cash advance. Most business owners who are considering a merchant cash advance need funding quickly and thus seek quick business loans. OnDeck offers term loans up to $500,000 at rates starting as low as 9.99% AIR with repayment terms of three to 36 months, and lines of credit up to $100,000 at rates as low as 13.99% APR. If your business has been operational for one full year, has $100,000+ in annual revenues, and you have a personal credit score of 600+ (600+ for a LOC), you can receive financing from OnDeck. BlueVine offers a small business line of credit up to $250,000 with interest rates starting at 4.8% simple interest, and invoice factoring up to $5,000,000 with interest rates as low as 0.25% per week. Repayment terms are either six or 12 months. If you have a credit score of 600+ (530+ for invoice factoring), six+ months of business operations, and $100,000 in annual revenue, you are eligible for financing from BlueVine. LoanBuilder offers term loans from $5,000 to $500,000, with no origination fees, prepayment penalties, or additional fees. Repayment terms are 13 to 52 weeks, and interest rates range from 6.49% to 19.31% (24.83% to 49.94% APR). If you have nine+ months of business operations, a credit score of 550+, and $42,000+ in annual revenues, you can apply online and receive funds as soon as the next business day. Square Capital offers loans up to $100,000 to businesses that use Square to process their sales. These loans have a factor rate ranging from 1.10x to 1.16x, resulting in an expected APR of 30% to 35%. Repayment terms extend from one to 18 months, and payments are collected daily through your Square transactions. PayPal Working Capital offers loans up to $125,000 to borrowers that process their payments through PayPal. PayPal Working Capital Loans charge a factor rate up to 1.10x, and repayments are collected daily based on a fixed percentage of your PayPal sales. If your business has been operational for at least three months and has annual revenues of $15,000+, you may be eligible for a PayPal Working Capital loan. National Funding is our best overall merchant cash advance provider because, aside from the factor rate (typically 1.17x to 1.36x), they have no additional fees. If you have one year of business operations and $3,000+ per month in credit card sales, you can receive up to $250,000 in as little as 24 hours. With National Funding, you can get a merchant cash advance of up to $250,000 with factor rates ranging from 1.17x to 1.36x, which works out to an expected APR of 30% to 150%. Unlike the other merchant cash advance lenders on our list, National Funding does not have a loan origination fee associated with its advances. The fact that National Funding does not charge a loan origination fee could be significant if you are offered the same factor rate from National Funding and another lender. For example, if both Fora Financial and National Funding offer you a factor rate of 1.20x, an MCA from National Funding will actually be less expensive due to the fact that Fora Financial charges a 4% origination fee. National Funding provides merchant cash advances in amounts up to $250,000. The average holdback percentage on these advances ranges between 15% and 25%, resulting in a repayment term of four to 24 months. With National Funding, you can receive your merchant cash advance funds in as quickly as 24 hours. Of the best merchant cash advance lenders on our list, National Funding has the fastest funding time at 24 hours, compared to CAN Capital and Credibly that take up to 48 hours, and Fora Financial that takes up to 72 hours. BFS Capital and American Express Merchant Financing have extended ranges for the time that it takes to receive funding due to the larger amounts of funding that they offer. To qualify for a merchant cash advance through National Funding, your small business needs to have been operational for at least one full year, and you need to have greater than $3,000 per month in credit card sales. National Funding has no minimum credit score requirement for merchant cash advances. Prior to applying for a merchant cash advance from National Funding, you will want to gather pertinent documents pertaining to your business. Having these documents available will make completing the application easier, and some may be required to be submitted to the lender. You will need three months of credit card processing statements and bank statements, your prior year tax returns, current balance sheet, and profit and loss statement. Overall, National Funding is our choice as the best merchant cash advance provider on this list. The one downside to National Funding’s merchant cash advance is that their maximum advance amount is only $250,000, which is less than some of the other providers that we have reviewed (Fora Financial can advance up to $500,000, and BFS Capital can advance up to $2,000,000). Most users who reviewed National Funding gave them excellent reviews. These positive reviews were focused primarily on National Funding’s excellent customer service and how quickly they are able to get you funding. The few negative reviewers were disappointed in the overall costs associated with their advances, seemingly not understanding the rates and terms upfront. To read more reviews, visit our National Funding Reviews page. If you have been in business for at least one year and have $12,000+ in monthly credit card sales, you can qualify for a merchant cash advance of up to $250,000 from National Funding. You can quickly apply for funding through their website, and if approved, receive funding in as quickly as 24 hours. Businesses with monthly credit card sales of $4,500+ per month and four months of business operations can get a merchant cash advance from CAN Capital. This combination of requirements allows newer businesses to be eligible. Advance amounts with CAN Capital range from $2,500 to $150,000, with an average term of six to 18 months. The average factor rate CAN Capital charges is between 1.15x and 1.35x. Unlike National Funding, which has no additional fees for their advances, CAN Capital does charge an administrative fee of $395 to obtain funds from them. The factor rate, in conjunction with the administrative fee, results in an expected APR of 20% to 282%. The administrative fee for CAN Capital may be significantly less than the providers that charge a percentage as an origination fee. For example, if you were to borrow $20,000 from Credibly, your origination fee would be $500 based on their 2.5% origination fee, while the same amount from CAN Capital would only have the $395 fixed origination fee. CAN Capital issues merchant cash advances between $2,500 and $150,000 in as quickly as 48 hours. To repay the advance, CAN Capital will take between 10% and 25% of your daily credit card receipts until the factor rate is repaid in full. The average term of a merchant cash advance is between 6 and 18 months. At $150,000, CAN Capital has the lowest maximum merchant cash advance amount of the lenders on our list. National Funding and Credibly can both fund up to $250,000, Fora Financial up to $500,000, and BFS Capital and American Express Merchant Financing can fund up to $2,000,000. CAN Capital is slightly less restrictive on business qualifications for an MCA than National Funding is. CAN Capital requires that the business owner have a personal credit score that is greater than 550+, that the business has been in operation for at least four months (whereas National Funding requires one year of business operations), and has monthly credit card sales in excess of $4,500. When applying for a merchant cash advance from CAN Capital, you will want to gather pertinent documents pertaining to your business in advance. Having these documents handy will make completing the application process faster for you. You will need three months of credit card processing statements and bank statements, your prior year tax returns, current balance sheet, and profit and loss statement. At $150,000, CAN Capital has the lowest maximum advance amount of the six providers on our merchant cash advance companies list. For businesses looking to borrow more than $150,000, we recommend reviewing the other companies on our list (BFS Capital offers MCAs up to $2,000,000), and our alternatives to merchant cash advances. Positive user reviews of CAN Capital tout a simple and efficient process with solid customer service. Many customers state that they have used CAN Capital for multiple loans and have had great luck with the company. Negative user reviews are primarily applicants who were rejected, or borrowers who feel that the repayment terms are unfair. Visit our CAN Capital Reviews page to find out more about what users think. If your business has been operational for four+ months, has $4,500+ in monthly credit card sales, and a credit score of 550+, you can apply for a merchant cash advance from CAN Capital directly on their website and find out if you pre-qualify within minutes. You can receive funding of up to $150,000 at factor rates of 1.15x to 1.35x within 48 hours. If your business has been operational for six+ months and has $15,000+ in monthly revenue, Credibly can approve and issue a cash advance within 48 hours. Advance amounts range from $5,000 to $250,000, with factor rates ranging from 1.15x to 1.41x. Credibly charges a 2.5% origination fee, and their average holdback percentage is 10% to 25%. Credibly charges an average factor rate between 1.15x and 1.41x of the amount advanced. Unlike National Funding, which doesn’t charge any fees, and CAN Capital, which charges a fixed fee, Credibly charges a loan origination fee equal to 2.5% of the advance amount; the fee is taken directly out of the merchant cash advance. 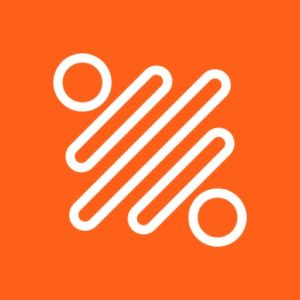 Credibly provides merchant cash advances from $5,000 to $250,000 within 48 hours, and takes between 10% and 25% of a company’s daily credit card receipts for payment. The result is a merchant cash advance (MCA) term between three and 14 months, depending on the volume of daily credit card transactions and holdback percentage. To be eligible for a merchant cash advance through Credibly, your business needs to have been in operation for at least six months and have $15,000+ in monthly revenues. Additionally, Credibly requires that you have a credit score of at least 500 to qualify for their merchant cash advance financing. Unlike National Funding and CAN Capital, which have a set qualification requirement based on your monthly credit card sales, Credibly qualifies you based on your gross monthly revenues. This may give you more latitude to qualify than basing the requirement strictly on your credit card sales revenue. However, if you have low volume credit card sales, repayment will take longer. Prior to applying for a merchant cash advance from Credibly, we recommend that you gather pertinent business documents, as having these documents available in advance will streamline the application process for you. You will need three months of credit card processing statements and bank statements, your prior year tax returns, current balance sheet, and profit and loss statement. The 2.5% origination fee Credibly charges can be a hurdle for businesses looking to borrow substantial funds. While Credibly’s origination fee is lower than the 4% fee of Fora Financial, borrowers looking for more than $16,000 would have lower origination fees using a lender such as CAN Capital, which has a fixed origination fee of $395. If your credit score is greater than 500+, National Funding might be a better fee-free option. The vast majority of Credibly’s customers are very happy with the company. Positive user reviews rave about the professionalism of the loan representatives, the attentiveness of Credibly’s customer service, and the efficiency of the process. Negative user reviews are limited and seem to be primarily focused on confusion over varying loan terms. To see more reviews, visit our Credibly Reviews page. You can apply for a merchant cash advance from Credibly of up to $250,000 directly through their website, and find out if you pre-qualify within minutes. Factor rates range from 1.15x to 1.41x. If you have six+ months of business operations, $15,000 in monthly revenues, and a credit score of 500+, you can receive a merchant cash advance within 48 hours. If your business is just starting out and only has been operational for three+ months, Fora Financial can issue a cash advance within 72 hours. Advance amounts range from $5,000 to $500,000, with factor rates ranging from 1.15x to 1.33x. Fora Financial charges a 4% origination fee, and their average holdback percentage is 15% to 25%. Fora Financial charges a factor rate between 1.15x and 1.33x of the amount advanced. Unlike National Funding, which doesn’t charge any fees, and similar to Credibly, which charges 2.5%, Fora Financial charges a loan origination fee equal to 4% of the advance amount; the fee is taken directly out of the merchant cash advance. Fora Financial provides merchant cash advances from $5,000 to $500,000 within 72 hours, and takes between 15% and 25% of a company’s daily credit card receipts for payment. The result is a merchant cash advance term between four and 18 months, depending on the volume of daily credit card transactions and holdback percentage. Fora Financial offers up to $500,000 for a merchant cash advance, which is twice the amount available from National Funding or Credibly. However, you’ll have to wait a little longer to receive funding, because it can take up to 72 hours to receive your MCA through Fora Financial, compared to 24 hours from National Funding and 48 hours from CAN Capital or Credibly. To qualify for a merchant cash advance from Fora Financial, your business needs to have been operational for at least three months. You need to have at least $5,000 in monthly credit card sales and a minimum of $10,000 in gross monthly revenues. Fora Financial requires a minimum credit score of 500 to qualify. 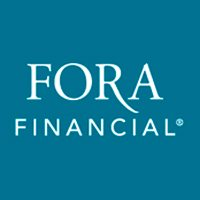 Of all of the merchant cash advance lenders on our list, Fora Financial has the shortest time in business requirement at only three months. CAN Capital requires four months of business operations, Credibly requires six months, BFS Capital requires nine months, and National Funding requires a full year. Prior to applying for a merchant cash advance from Fora Financial, you will want to gather pertinent documents pertaining to your business, as this will help to make the application process go more smoothly for you. You will need three months of credit card processing statements and bank statements, your prior year tax returns, current balance sheet, and profit and loss statement. Despite offering merchant cash advances to businesses that have been in operation for only three months, Fora Financial requires $5,000+ of monthly credit card sales, which is higher than CAN Capital, which only requires $4,500 in monthly credit card sales. Additionally, Fora Financial’s 4% origination fee could be burdensome depending on the amount borrowed, while lenders like National Funding do not have any origination fees. Fora Financial customers have given a lot of positive feedback about the company, with 83% of Trustpilot reviews noted as excellent. Users have enjoyed positive customer service experiences, fast turnaround times, and clear and concise explanations of products. The negative reviews remain positive with regards to customer experiences and interactions with the company, but cite the daily payback as burdensome to their businesses. If you have been in business for three+ months, have $5,000+ in monthly credit card sales, $10,000+ in monthly revenue, and a credit score of at least 500, you can receive a merchant cash advance of up to $500,000 with Fora Financial. Factor rates range from 1.15x to 1.33x. You can apply online and receive funding within 72 hours. If you’re looking for a larger advance, BFS Capital may be your solution. They can issue a cash advance within two to seven days. Advance amounts range from $4,000 to $2,000,000, with factor rates from 1.11x to 1.49x. BFS Capital charges an administrative fee ranging from $275 to $475, and their average holdback percentage is 10% to 25%. The average factor rate BFS Capital charges is between 1.11x and 1.49x of the total amount of funds borrowed. Unlike National Funding, which has no additional fees for their merchant cash advances, BFS Capital is similar to CAN Capital in that it does charge an administrative fee. The administrative fee ranges from $275 to $475. BFS Capital provides merchant cash advances from $4,000 to $2,000,000 within two to seven days, and takes between 10% and 25% of a company’s daily credit card receipts for payment. The result is a merchant cash advance term between four and 21 months, depending on the volume of daily credit card transactions and holdback percentage. BFS Capital is the only provider on our list that can provide a merchant cash advance as high as $2,000,000. However, American Express Merchant Financing can provide a loan up to $2,000,000 if you are a merchant that accepts American Express. For both of these lenders, the longer time to funding is a result of the larger dollar amounts that they offer, as there is additional underwriting involved. BFS Capital has more restrictive annual revenue qualifications than many of the merchant cash advance providers on our list. 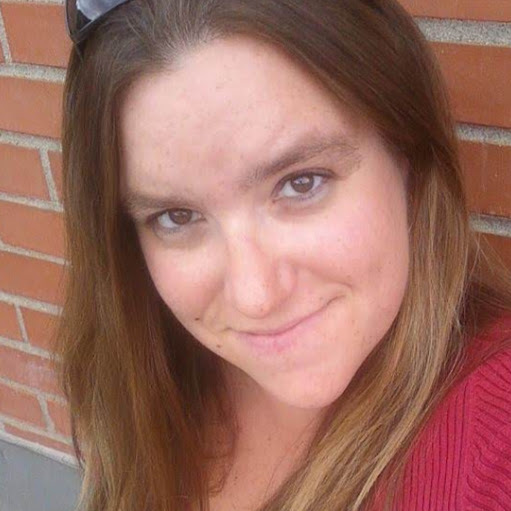 BFS Capital requires that business owners have monthly revenues in excess of $80,000 (as compared to Credibly, which has the second highest monthly revenue requirement of $15,000), a credit score that is greater than 550+, and that the business has been in operation for at least nine months. Prior to applying for a merchant cash advance from BFS Capital, you will want to gather pertinent documents pertaining to your business. Having these documents available in advance will make the application process faster for you. You will need three months of credit card processing statements and bank statements, your prior year tax returns, current balance sheet, and profit and loss statement. With the highest monthly revenue requirements of the providers that we have reviewed in this article, BFS Capital is likely not the best option for emerging businesses looking for fast working capital or a boost to their cash flow situation. However, more established businesses could take advantage of the higher lending limits that BFS Capital offers. BFS Capital has a lot of very happy users, with 96% of Trustpilot reviews providing an excellent rating. Customers sing the company’s praises with regards to customer service, ease of process, and timeliness. The few negative reviews available highlighted the high repayment costs that are typical with merchant cash advances and not an issue limited to BFS Capital. If you have nine+ months of business operations and $80,000+ in monthly revenues, you can get a merchant cash advance of up to $2,000,000 from BFS Capital. Factor rates range from 1.11x to 1.49x. Application for a merchant cash advance can be completed online, and you can receive funding within two to seven days. American Express Merchant Financing is not an MCA, but rather a short-term loan available only to businesses that accept American Express credit card payments. American Express Merchant Financing offers loans up to $2 million for a fixed fee ranging from 1.75% to 20% depending on the term, which can be six, 12, or 24 months. Instead of interest, American Express Merchant Financing charges a fixed fee for their loans, and those fees vary by the term of the loan. Six-month loans have fixed fee rates ranging from 1.75% to 8%, 12-month loans have rates ranging from 3.5% to 12%, and 24-month loans have rates of 7% to 20%. If your business accepts American Express credit card transactions, a loan through American Express Merchant Financing will likely be a much less expensive financing solution for you than a merchant cash advance would be. For example, if you were to borrow $10,000 with a six-month term from American Express Merchant Financing, even at the highest fixed fee of 8%, your total repayment would be $10,800. Conversely, with a merchant cash advance (even from a lender that has no additional fees) and the lowest factor rate of 1.15x, that same $10,000 would result in a cost of capital of $11,500. American Express Merchant Financing offers loans in amounts ranging from $5,000 to $2,000,000, with repayment terms of six, 12, or 24 months. The time to funding varies based on the dollar amount borrowed, with smaller amounts taking as little as two days, and amounts over $750,000 taking up to seven days. The loan amounts offered and the time to funding for American Express Merchant Financing are very similar to those offered with a merchant cash advance from BFS Capital. The largest difference between these two borrowing options is the overall cost of capital—a loan from American Express Merchant Financing will be a much less expensive source of financing. American Express Merchant Financing requires 24 months of business operations, which is greater than National Funding’s one-year requirement. They also require that you have $50,000 in annual revenue and $12,000 in annual credit card sales. These revenue requirements are lower than most of the providers on this list (with the exception of BFS Capital, which requires $80,000+ annual revenue). In advance of applying for American Express Merchant Financing, you will want to gather the relevant business documents to make the application process easier for you. You will need three months of credit card processing statements and bank statements, your prior year tax returns, current balance sheet, and profit and loss statement. 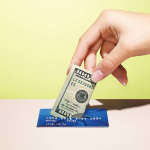 Unlike the other providers on this list, American Express Merchant Financing is restricted to businesses that accept American Express credit card payments. If your business does not accept American Express, you won’t be able to utilize this financing method. We were unable to find reviews, either positive or negative, specifically directed at American Express’ merchant financing. 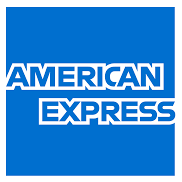 Reviews for American Express were generally from customers who are cardholders, or American Express merchants in general. To find out more about what users think, you can visit our American Express Merchant Financing Reviews page. If you accept American Express, you can easily apply for an American Express Merchant Financing loan of up to $2,000,000 with a fixed fee of 1.75% to 20%, directly on their website. It takes only minutes to complete the application, and if approved, you can receive funding within two to ten days. Merchant cash advances are short-term financing options for businesses in need of a quick source of funds for working capital and cash flow. However, merchant cash advances are expensive and are typically used as a last resort for small businesses. Still, they are a viable option if you work with a reputable merchant cash advance company. If you are looking for a merchant cash advance provider that does not charge additional fees, and can rapidly fund your advance, National Funding is a great choice. You can receive a merchant cash advance of up to $250,000, with a factor rate ranging from 1.17x to 1.36x, in as little as 24 hours. Do these companies have login into your bank account? No, they do not have login info. They get your routing number and account number so they can deposit money into your business bank account. But, they do not get your login username or password or anything for your bank account. For tax purposes, does a business treat amounts repaid that exceed amounts advanced as straight interest or is it necessary to book it in another way? While we aren’t able to give tax advice, section 4 of this IRS document may be helpful. It will give you a better base understanding for when you speak with a tax professional. I looked into wgfinancing.com. They didn’t specify rate information on their website. Did you have a good experience with them as a borrower? FundBox is a Great MCA Alternative!